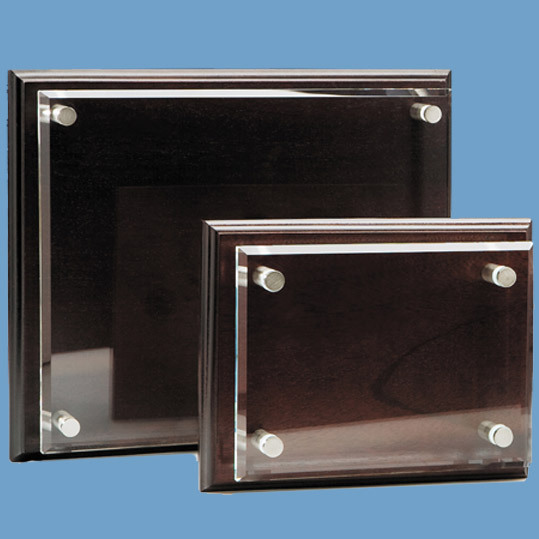 The 10'' x 12'' clear glass plaque is mounted onto a solid mahogany base with 4 brushed aluminium pins. The stylish plaque is ideal for display purposes and has fittings on the back to allow it to be mounted landscape or portrait onto a wall. They can be engraved with any crest, logo and wording to create a presentation gift that will look fantastic wherever it is displayed.